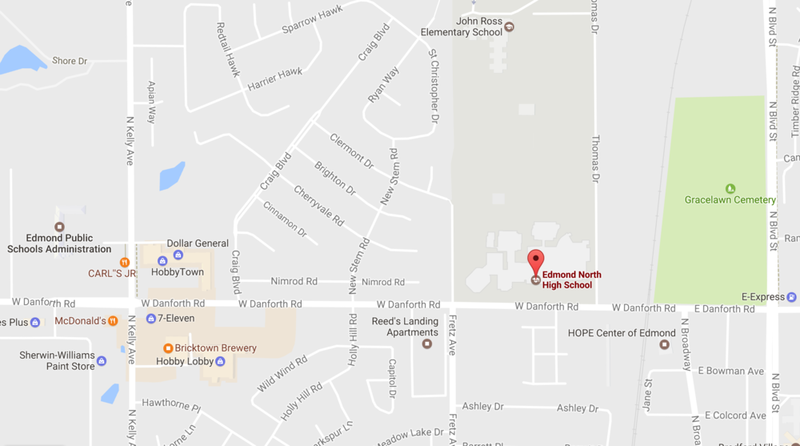 Our campus is located on the north side of Danforth Road, in between Kelly Avenue and Broadway. The Band Hall and Auditorium are located at the northeast corner of the building. For all events in the Band Hall, Auditorium, and ENHS Football Stadium, park in the north lot. To enter the north lot, turn west off of Thomas Drive. For events in the Band Hall, enter through the double glass doors marked "39." For events in the Auditorium, enter through the doors marked "Auditorium."